It’s the cycle ride that’s had threats of protest and the most heartfelt pledges to fundraise for loved ones. Velo South is set to be the county’s largest ever closed road cycle event, if not the very first of its kind, in the area. On September 23, an estimated 15,000 cyclists are set to take on the 100-mile circuit to and from Goodwood, travelling through Pulborough, Ashington, Partridge Green, Southwater, Loxwood, Fernhurst, and back down through Rogate, Compton and Funtington. To facilitate the event, a schedule of road closures from two to nine hours will be in place on the day, including several main roads such as the A283, the B2145 and parts of the A29. Posters have been put up by campaigners hoping to stop Velo South, a 100-mile cycling event. While the event organiser, CSM Active, has sought to assure parishioners spectators will line the route to cheer participants on, residents have been angered and even outraged by the road closures and lack of community consultation on the event. Opinion is divided among residents with some looking forward to the event and some angered by it. CSM Active has promised a professionally run, enjoyable event that will boost business and West Sussex County Council has consistently referred to Velo as a ‘showcase’ of the area for tourism. The majority of those opposed to the event are people who live within or on the huge closed-circuit concerned about access issues, particularly in villages that will have their only main roads shut off for up to eight or nine hours. Duncan Cunningham, who lives near Compton, is a part of the Stop Velo South campaign, which he stressed was ‘not against cyclists’. “What we’re very angry about is that West Sussex County Council and CSM Active seem to have started planning this long in advance of actually letting anyone know about it. “Far from expecting anyone to work with the community to see if they could make it a success, I think they anticipated opposition and waited until it was too late to do anything about it. He said the group had been frustrated by the lack of response from the county council and was threatening legal action to stop the road closures, as well as walking protests on the day. Farmers, doctors, nurses, churchgoers, carers and any other residents wishing to travel on the day will have to negotiate detours that will change throughout the day. 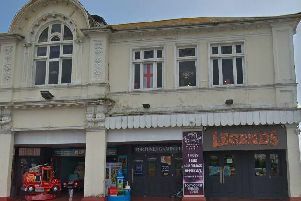 Meetings also heard anger over the effect on businesses that would not be able to operate on the day or who stood to lose custom, including a wedding booking that was cancelled due to road restrictions around the venue the following day. In response to concerns, West Sussex County Council has produced access plans for 16 locations seriously affected by the road closures, including limiting the bike ride to one lane to allow some cars through. A great deal of the controversy over Velo South has been complaints over a lack of consultation in how it was organised. West Sussex County Council officers agreed to the event in February this year after discussions with organisers in late 2017 with the support of the council cabinet. District councils were also informed. Councillors of all levels went on to express frustration they had not been given a chance to comment on or counter the proposals as elected representatives. The county council said there was ‘no requirement for the council to make a formal decision about the road closures’ as it was ‘not our event and does not involve expenditure by the council’. After complaints from her Midhurst area, county councillor Kate O’Kelly put forward a motion to full council to cancel the road closures, or to limit them for the elite cyclists. The motion was defeated in a vote of 37 votes to eight, with ten abstentions, largely due to safety concerns for the 15,000 participants. Commenting after the debate, cllr O’Kelly said the road closures were a ‘massive imposition’ on residents. She said: “The leader of the council admitted during the debate that they had been late to engage with the community. But many people are more optimistic about what the event could bring to our area. Efforts to inform residents have included a roadshow event by CSM, presentations at local committees, a parish engagement meeting and three sets of leaflet drops of around 160,000 leaflets. Support for the event from West Sussex County Council and Horsham and Chichester District Council rests on the long-term benefit of increased tourism in years to come. Participants will have a chance to see the county’s countryside and what the area has to offer. Of the 15,000 cyclists due to take part, the county council estimates 80 per cent will be from outside the area and will need to book hotel accommodation. Around two spectators per participant are also expected to spend in the county. A county council spokesperson said: “Experience in other areas (for instance in Surrey that has a similar event on its roads each year) has shown that many local people and businesses are supportive of such events – such that they have been rerun for several years. “The Velo South event will attract a wide range of people to visit West Sussex outside the usual tourist season. Many of these will be new visitors. County council leader Lousie Goldsmith has since promised a full post-event review. Organiser CSM Active is also looking for a more longer-term investment in the event. Director Richard Relton told a meeting of the North Chichester County Local Committee that this year’s event would in fact not make a profit but if successful, the company hoped to repeat Velo South in years to come.